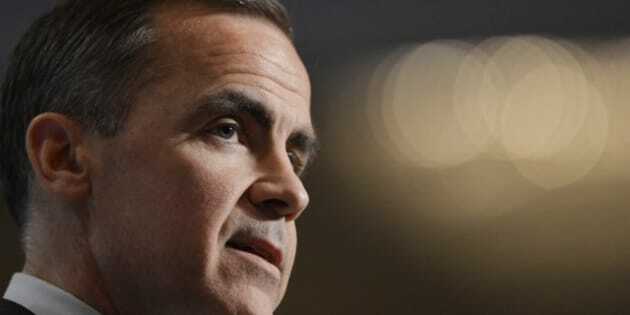 A week ago, Mark Carney was an unqualified superstar of central banking, the fair-haired boy of finance about to leave the Great White North to take on a more prominent, more challenging role fixing Britain’s debt-riddled economy. What a difference a week makes. Carney now finds himself in the midst of two brewing political wars — one at home, one on the other side of the pond. The Globe and Mail on Saturday published a story recounting efforts by what it called “a tight network of Liberals” to woo Carney into running for the Liberal Party leadership. In what immediately spawned concerns about a possible conflict of interest, Carney was reported to have taken phone calls from senior Liberals, asked questions about the race and even spent a week during the summer at Liberal MP Scott Brison’s home in Nova Scotia. “Mr. Carney refused to go into details about the conversations, or explain why he didn’t immediately shut down the campaign as a non-partisan public servant working under a Conservative government,” the Globe reported. It’s not clear whether the campaign was Carney’s to shut down. As The Huffington Post Canada has reported before, there were various attempts to draft Carney for the Liberal leadership, but the central bank governor did not publicly encourage or endorse these campaigns. So what ended Carney’s flirtation with the Liberal leadership? The National Post’s John Ivison wrote in November that Justin Trudeau’s entry into the race convinced Carney not to run. The Globe reports it as a case of cold feet: Carney feared he would be yet another Liberal leader with name recognition and popularity, but who would prove too inexperienced on the campaign trail. All the same, the knives are coming out for Carney, with a Globe editorial calling on the Bank of Canada to reassure the public Carney isn’t using the Bank of Canada to further a political agenda. In a statement released to the press on Monday morning, the Bank of Canada said Carney and Brison have been friends for a decade. So that’s the Canadian political baggage Carney will take across the pond, where another war is brewing over what his plans may or may not be for the Bank of England. In a speech to financial analysts in Toronto last week, Carney extolled the virtues of “NGDP targeting”: the idea that a central bank should set policy in order to get a certain amount of economic growth. Currently, the Bank of Canada (like the Bank of England) bases all its policy decisions on one factor: Inflation. (The U.S. Federal Reserve works somewhat differently; it also has an unemployment rate target.) So the Canadian government gives the central bank an inflation target (typically 2 per cent in Canada) and the bank then sets interest rates and other policies (such as printing or not printing cash) in order to get the desired inflation rate. But for the past several years, an economics blogger named Scott Summer has been pushing the idea that banks should ditch their inflation targets and try to get a certain amount of nominal economic growth happening instead — this is known as NGDP targeting. It’s an idea that’s gaining steam, largely because the past several decades of only targeting inflation (the legacy of the stagflation of the 1970s, which convinced central bankers inflation is the real problem) haven’t gotten very good results in recent years. So Carney came out with a speech suggesting NGDP targeting may not be a bad thing, and half of Britain’s financial elite threw a fit. Bank of England economist Spencer Dale, soon to be Carney’s employee, publicly slammed the idea in the pages of the Daily Telegraph, saying it would ruin the BoE’s credibility if it stopped paying attention to inflation, which Dale says is running too hot in the U.K. right now. Boiled down to its simplest terms, the conflict is that what Carney is suggesting would lead to a “loose” fiscal policy (printing lots of cash and keeping interest rates low) until economic growth returned to something along normal lines. That goes against the austerity-minded British government, whose conservative approach to fiscal policy means it’s mostly interested in keeping down inflation and not running up government deficits any further. But that certainly doesn’t fit with the ideals of the “Liberal” Mark Carney, who seems to have a political dirt fight behind him in Canada and an ideological war ahead of him in Britain.